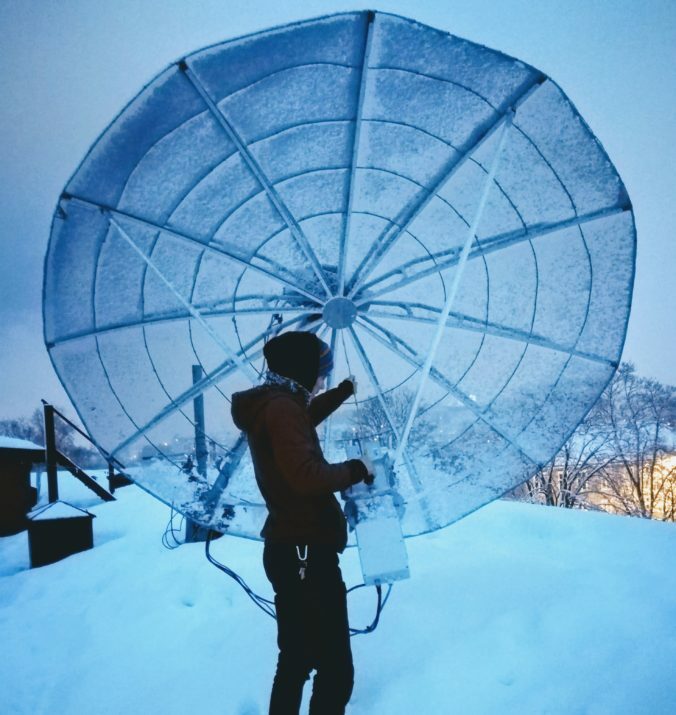 Last week we wrote about an effort to get our parabolic dish ready to work QSOs on 23 cm. This week we can finally claim to have worked the first QSO. As per tradition, we were not able to work anything, nor hear the moon beacon ON0EME after our claim in last week’s post. To amend this, a debug-crew was rallied. LB6RH checking the antenna match. LB6RH measuring the focal distance to the septum feed. 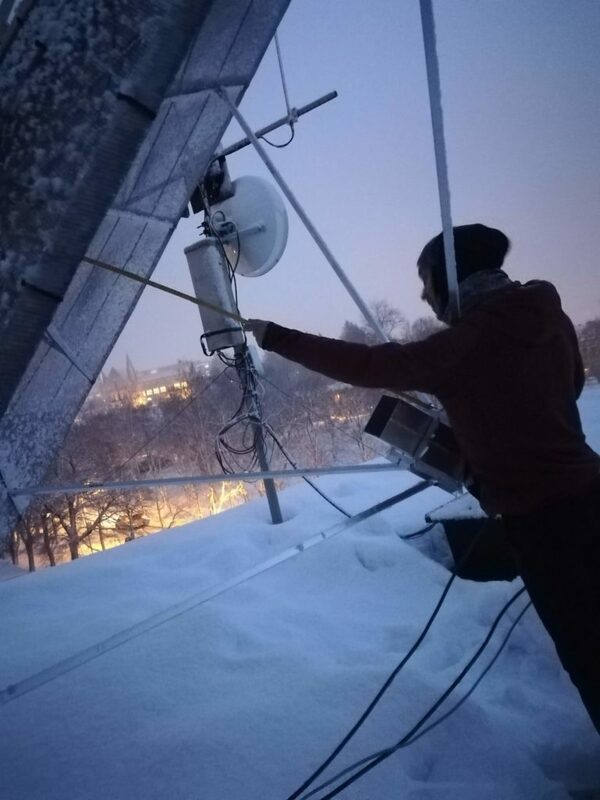 Debug-crewmember LB6RH arranged for a loan of a portable network analyzer from NTNU IES(the electronics department at the local university). This allowed us to painlessly measure the antenna match, which turned out to be better than -30 dB (equivalent to an SWR of 1.05). Happy that the antenna match was in order, we had to think a bit on what else might be off. The culprit this time turned out to be our severe underestimation of the importance of the focal point in a parabolic dish. During last weeks’ efforts we mounted the septum feed at a point adjusted by eyesight. We inspected this again this week, and it turns out that we had set the septum at a focal point of 105 cm. 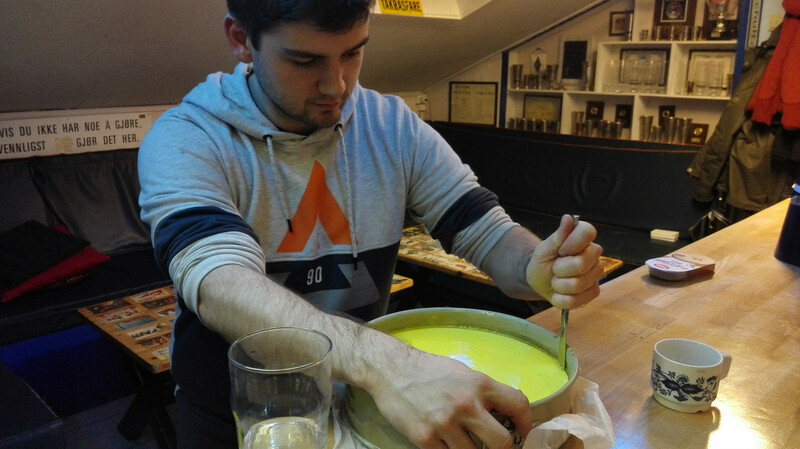 This is 30 cm off from the actual focal point of our 3 m 0.45 f/D (focal length to diameter) dish, which is at 135 cm. A quick adjustment later, and we had the thing to specifications. First 23 cm EME QSO on the 3 m dish. 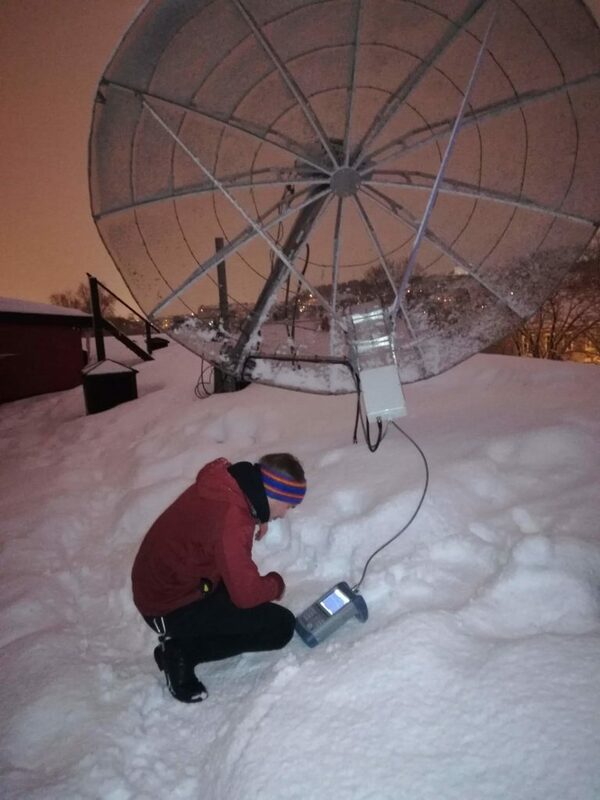 Eagerly booting up the station after our fixes, we were quickly able to identify ON0EME. 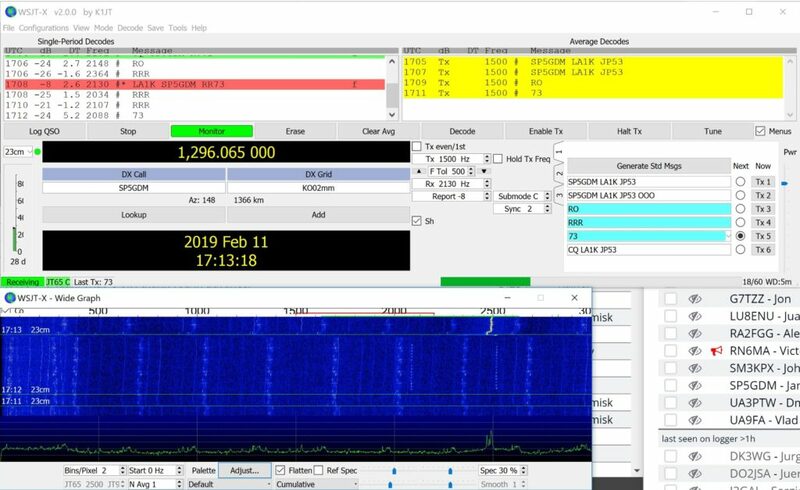 Shortly after, we also decoded and replied to SP5GDM, who was running CQ in the JT65C mode. Luckily he heard us, and we were able to work our first QSO! We look forward to working many more initials in the coming weeks. As well as finally working our first EME QSO on the new parabolic dish, we’ve also reached blog post number 100 on la1k.no. This will be duly celebrated with cake later today. Thanks for following us, and we hope you return for more content in the future.